Reading is fundamental. I like the web, I'm a bit of an internet junkie, but when push comes to shove, I really prefer books as my main reading source for my martial arts material. Here's a list of what I consider essential information for the serious martial arts practitioner. I'm sure most of you will at least recognize some of these titles. I've arranged them in no particular order. Many, many versions of this classic book are available. Some say translating it from the original Japanese leaves something to be desired. The copy I have was translated/interpreted by Steve Kaufman, a longtime instructor from New York. Musashi was a ronin (masterless samurai) that lived during Japan's feudal period. He was regarded as the kenshi (sword saint) of Japan, but by today's standards would be considered a sociopath. He killed his first man at age thirteen, was not above murdering children, despised bathing, supposedly had some wretched skin disease (probably from lack of bathing)... well, you get the idea. 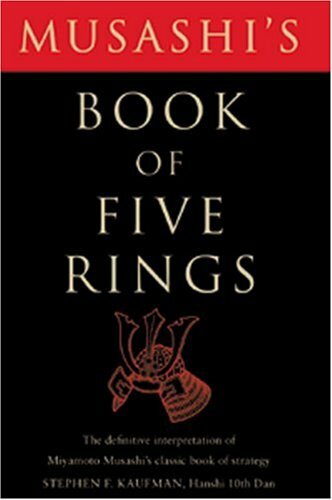 Five Rings is the martial arts classic treatise on strategy and psychological warfare. I actually chanced upon this gem at a used book store. 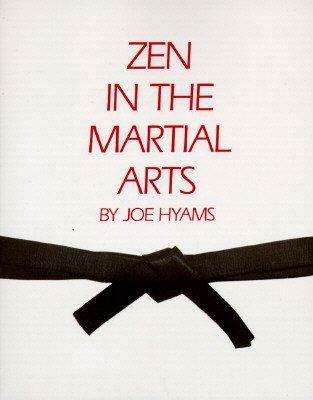 Although written from a Goju-ryu karate perspective, this is a useful primer for those interested in what I consider the real nuts and bolts of karate: kata (forms) and its applications. Includes guidelines for deciphering martial applications and gives some background on kata's history, strategy and tactics. Hyams was a celebrity Hollywood columnist from the fifties and sixties who was also a bit of a martial arts journeyman, training with the likes of Chuck Norris, Ed Parker and Bong Soo Han (who coached actor Tom Laughlin for his role in Billy Jack). Some interesting anecdotes to be found here, using Zen as a central theme. Overcoming everyday obstacles, difficulties in training and even how to deescalate a potentially violent altercation round out this reading. I've previously reviewed this work. Kyoshi Bill Hayes recounts his time spent on Okinawa during his hitch in The Corps training in the old-school way of traditional Shorin-ryu karate-do. Highly recommended. Copies of this future classic can be obtained directly from the author at oldstudent1@cox.net. Another previously reviewed selection. Cited as "field notes of an American ninja", Morris trained in a number of styles including Isshinryu karate with the late Sherman Harrill. If chi, psi abilities and psychic powers float your boat, this book is for you. A weird, fun read. Budo - martial arts as a way of life - is Draeger's prescription for self-perfection and right living. The -do in Japanese budo can be equated with the Chinese Dao, or "path." Draeger starts with budo's historical settings in Japan, followed by its concept, rationale, and method. Many examples of the teacher-student relationship are exquisitely detailed. Nagamine Sensei (1907 - 1997) was one of the most prolific authors on traditional karate and its history, in addition to being the founder of his Matsubayashi-ryu karate. Stories of character and courage are told concerning the lives of some of Okinawa's most famous karate men. Includes a section on tegumi, Okinawan wrestling. 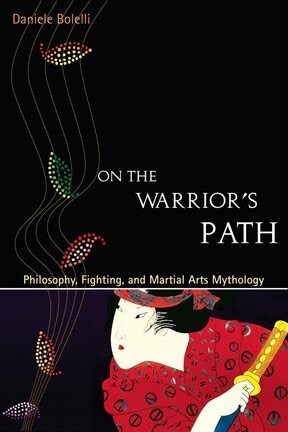 Bolelli, a Kung Fu San Soo practitioner, does a fine job describing warrior archetypes, Chinese tradition, and bridging martial arts philosophy with the advent of MMA. 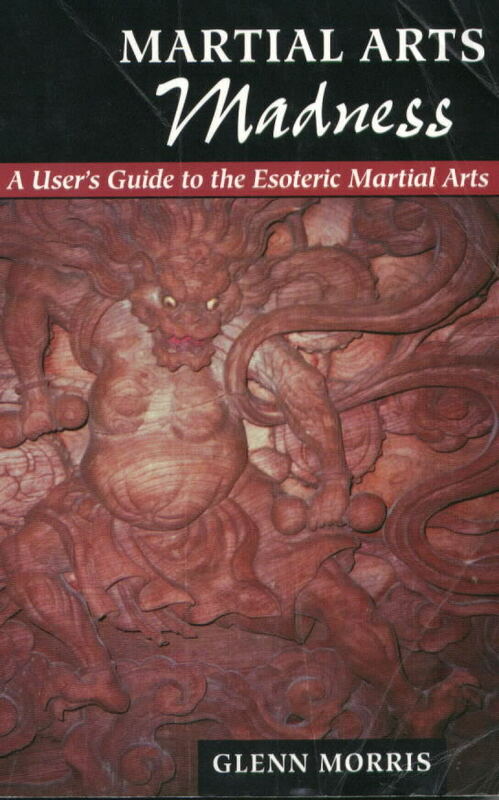 In particular the section on Internal Martial Arts — its history and certain misunderstandings which are clarified, make this a worthy read. 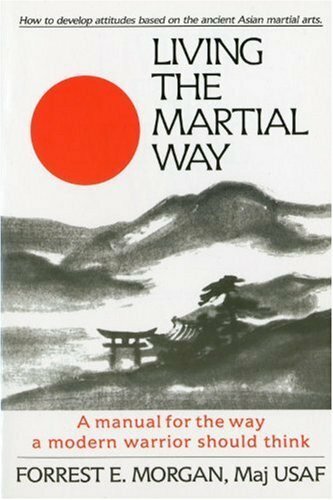 A must read for anyone thinking about embarking on the martial path. 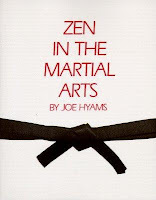 The author - relying on extensive experience both in the martial arts and military service - outlines the mindset and spirit necessary for the aspiring martial artist. Written with frankness and wisdom, Morgan maintains that training in the martial way is not for the hobbyist or those looking to rack up awards or titles. 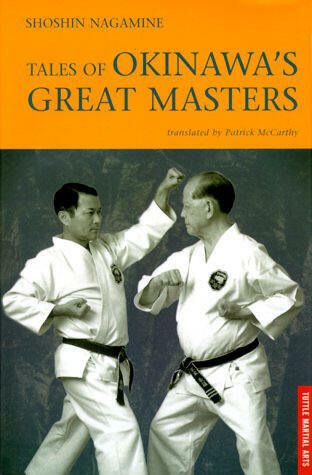 Sections include "The Secret of Personal Power" and "The Great Sham of Modern Martial Arts." Highly recommended. 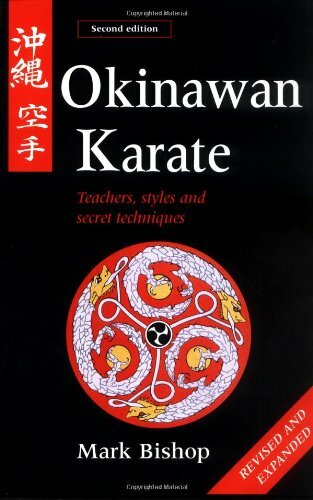 Karateka and researcher Mark Bishop sheds light on all of the major Okinawan karate styles via interviews with select Okinawan masters. Historical tables, and a list of every Okinawan karate kata (and what styles they are affiliated with) can be found in the back of the book. The kanji that appears in the upper left-hand side of the book's cover can be seen in my sidebar. I was a bit disheartened to see the section on Isshinryu karate lacking in depth, unfortunately due to a rather terse exchange between the author and Kichiro Shimabuku, 10th dan (the founder's son). ...but as he [Shimabuku] was a 'very busy man' he could spare me only a little of his 'precious time'; consequently my notes on Isshinryu may seem to be lacking. Kichiro Shimabuku, being short, plump and bald with an effeminate squeaky voice, is not what most people imagine a karate teacher to be like. Ouch. I guess it's true: the pen is mightier than the sword. If anyone has a good title to add to this list, do share. Nice! 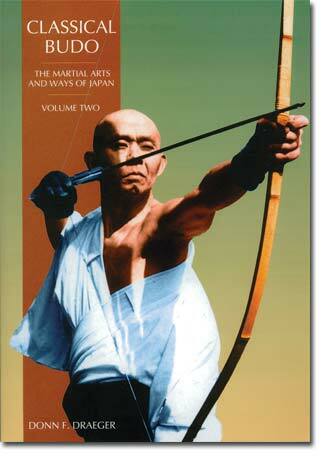 Two of my favorites are "Zen in the Martial Arts" and "Karate-Do: My Way of Life" by Gichin Funakoshi. Interesting list; not being a karateka, I wouldn't have gone after some of the History/Culture books, though I'd always encourage people to research the history and culture of their particular art form. Anyone remotely interested in self-defense should pick up Rory Miller's Meditations on Violence and Gavin DeBecker's Gift of Fear. Even if you aren't interested in self-defense, Miller's book has some great ideas and thoughts that are worth reading. I would also recommend The Karate Dojo, by Peter Urban. Some of the information is a bit dated, but it's still worth the read. Also, The Weaponless Warriors by Richard Kim. A good list. I have read about half your list - now I need to read the other half! 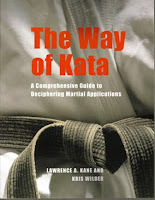 Other books that I have enjoyed or found useful are: Shotokan's Secrets by Bruce Clayton, Bunkai-jutsu by Iain Abernethy and most of David Lowry's books. Yes, Dave Lowry. I have a collection of essays he wrote for Black Belt Magazine that's pretty good. Very traditional. I forgot about Lowry, I should've had him in my top 10. For Years Dave Lowry wrote a columnn called Karate Way for Black Belt Magazine, though his credentials in karate remain somewhat of a mystery. His real forte is weapons systems. I completely forgot about Mr. Lowry's contributions. Great articles from a true budoka. One I never picked up, but I will eventually. Everyone seems to have read it but me. I have this one somewhere. Written in the early 70s. Similar to Tales of Okinawa's Great Masters. Interesting book. I believe may have been co-authored or ghost-written by Joe Hyams. Has a section in the middle of the book describing traits/stereotypes of "lightweight", "middleweight" and "heavyweight" karateka which is terribly antiquated but worth checking out. Also, has some old pics of Isshinryu legend Don Nagle, a contemporary of Urban. This looks like a great collection, some of which I've never read. 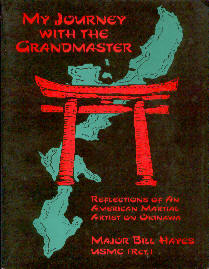 Living The Martial Way is, like Felicia above said, a "must read". I've read it twice and will definitely read it again.